Now new! Patience Ball Game Display is getting its FSC® certification! Set of 24. Four different motifs and six metal balls guarantee fun while training patience. 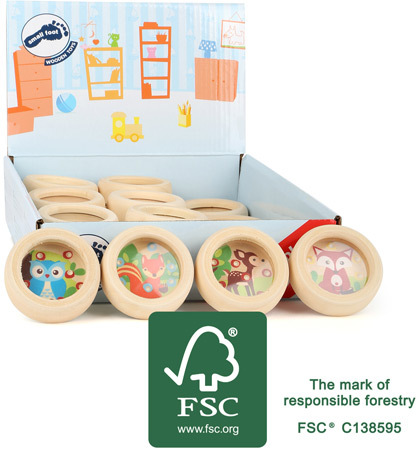 The game made of FSC® 100%-certified wood also trains motor skills and dexterity. A real eyecatcher at the cash desk! Please note that this product previously had the product number 10122.